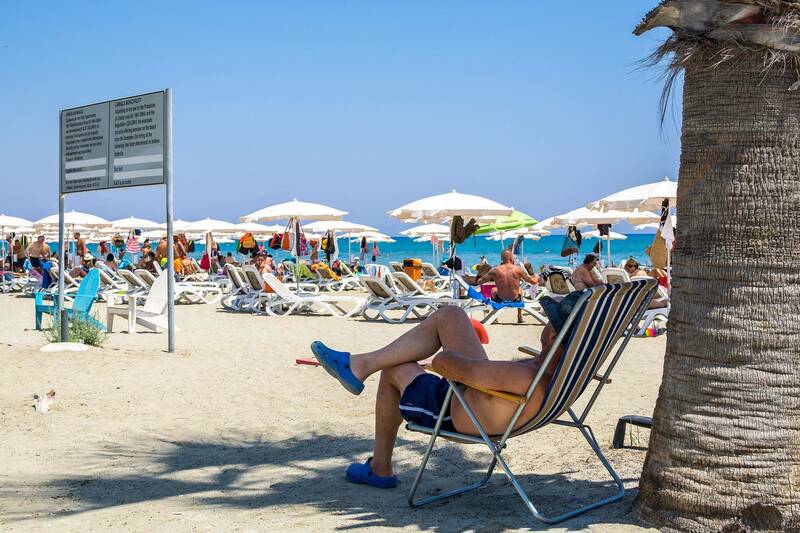 Situated in the eastern Mediterranean, Cyprus is blessed with blue skies and warm temperatures long after us Brits have reached for our woolly jumpers. Popular throughout the year, this pretty country really comes in to its own in autumn once the crowds have dissipated but the weather is still balmy. Here, we have rounded up the beaches that will have you grabbing for your swimming costume and digging out the suntan lotion. The Blue Flag-awarded Mackenzie Beach is graced with clear, blue, shallow waters and soft, golden sands. With more than a kilometre of sands to frolic on, you’ll find plenty of space to lay down your towel and kick back with a good book. Those who prefer to keep their heart racing will enjoy the opportunity to try their hand at windsurfing or stand up paddle boarding in the turquoise seas here. 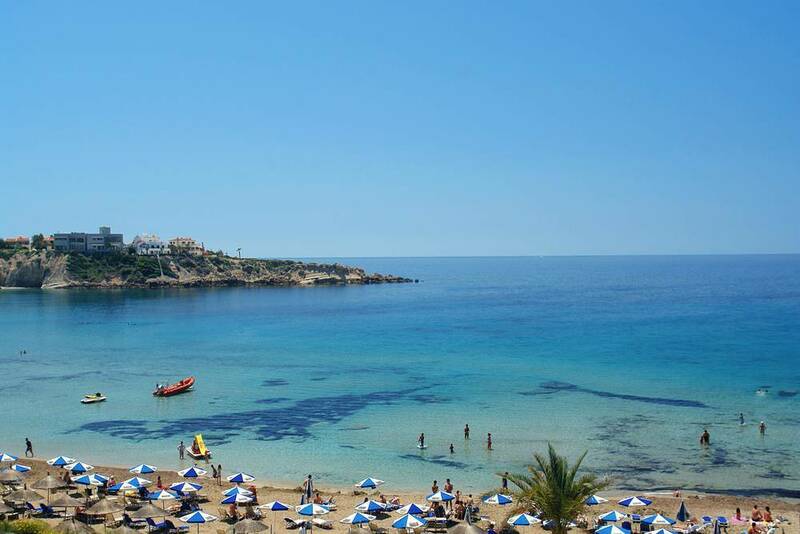 Surrounded by banana plantations on the west coast of Cyprus, the Blue Flag-awarded Coral Bay has a loyal crowd who return year after year. It’s not hard to see why with its golden sands gently sloping into the sea and all well-serviced by the cocktail bars lining the seafront. Some might find it busy, but it’s awfully pretty and a great place to while away an afternoon with a drink in hand. 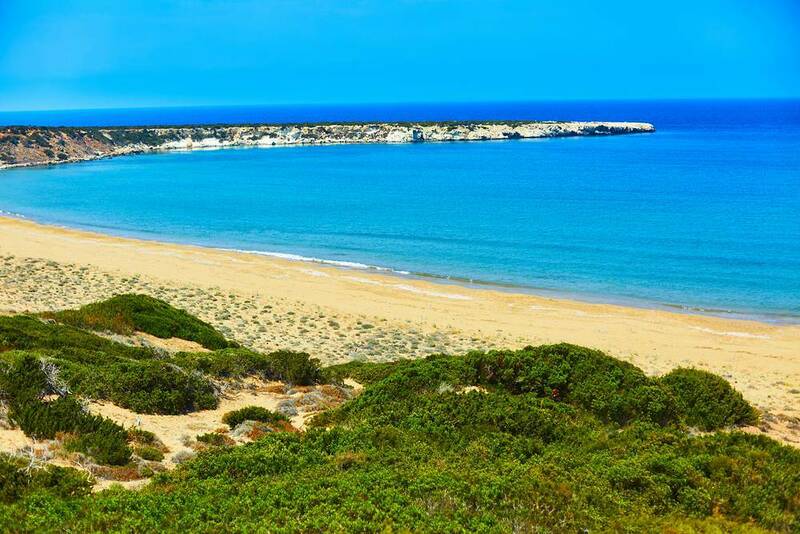 Lara Beach is one of Cyprus’s most unspoilt – largely due to the fact that it is only accessible by four-by-four. The beach is backed by rugged sand dunes bedecked in greenery, and stretches out for what feels like miles. What makes this beach feel particularly captivating, aside from the absence of the crowds found elsewhere, is the wildlife that resides here. It’s a hatching ground for green and loggerhead turtles, and monk seals also call this picturesque spot their home. 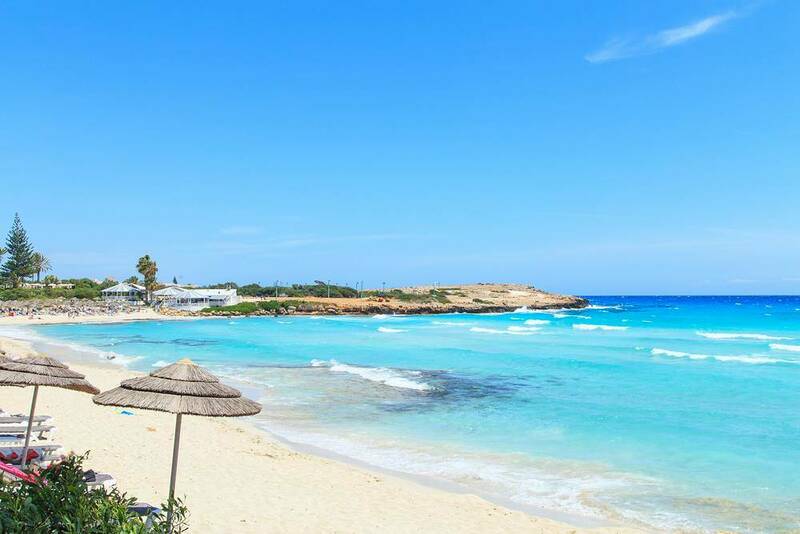 With white sands that arc around a bay overlooking crystalline waters, Nissi Beach is one of Cyprus’s very finest beaches. The day parties here in summer months are notorious and attract a crowd who never want the revelry to end. However, come October things start to quieten down and the beach takes on a more relaxed vibe. The waters here are incredibly clean and, because of this. Nissi has been granted Blue Flag status, making kicking off out in search of fish even more appealing. 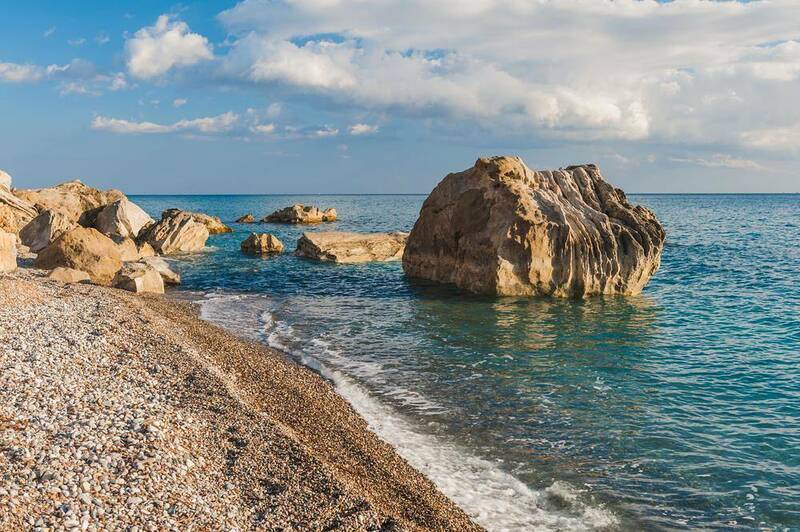 Pissouri Beach, just a short walk from the quaint village of Pissouri, is a hit with tourists and locals alike. In the summer, you can hire a kayak and paddle along the shoreline in relative peace or, alternatively try your hand at sailing in these picturesque surrounds. Away from the beach, there are tavernas where the locally-produced wine is sold and you’ll have the opportunity to mingle with locals.